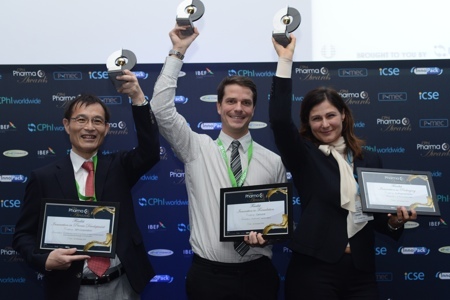 The CPhI Pharma Awards 2013 winners have been named as API Corporation in the process development category; Camurus for the best innovation in formulation; and E-Pharma Trento for the most innovative packaging. The results were announced live at the awards ceremony on the first day of CPhI Worldwide in Frankfurt, Germany. Honouring outstanding developments from some key industry players, the awards highlighted ever-advancing market innovations, fundamental to driving growth throughout global pharma. This year the awards adopted a different format from previous years, with one winner selected from a short list of three finalists in each of three categories: innovation in formulation, process development, and packaging. A record-breaking 44 entries were received, 13 for formulation, 18 for process development, and 13 for packaging. 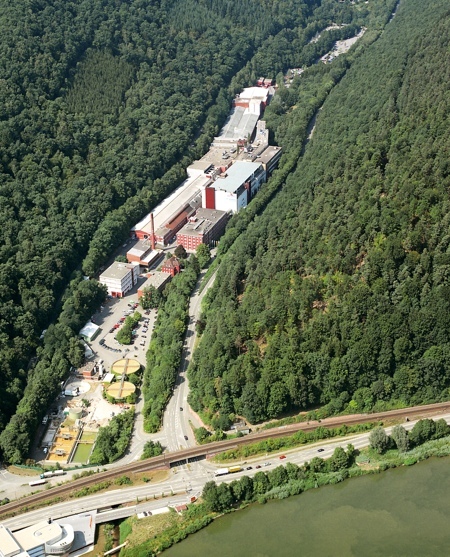 The 2013 winner for Best Innovation in Process Development was deservedly won by API Corporation, acknowledging the Company’s leading catalytic system for C-H activation. Many drug substances’ pharmaceutical activity is exerted by a structural motif called a biaryl unit. Current synthesis, however, requires large amounts of hazardous chemicals. API’s technology conceptually addresses this issue as a catalytic system of C-H activation that both drives down costs and provides an environmentally friendly process. Currently, this technology has been applied to the commercial synthesis of angiotensin II receptor blockers. The runners-up in this category were Bachem for its pioneering breakthrough in the chemical synthesis of Interferon β-1a; and Codexis for its enzymes for green and scalable biocatalytic oxidations. The CPhI Pharma Award for Best Innovation in Formulation was given to Camurus. The company was recognised for its fluid injection depot that delivers therapeutic doses over extended periods – adjustable from days to months – from a single injection. Setting it aside from other parenteral technologies of its kind, this fluid injection depot is comprised of a lipid-based liquid solution that transforms into a liquid crystal gel matrix in situ on contact with minute quantities of aqueous fluid at the site of injection. 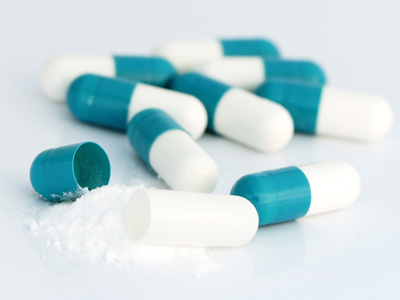 The drug becomes effectively encapsulated and is released in a controlled manner. This provides key benefits compared with other associated market products by reducing the typical complex manufacturing process, reconstitution before administration, refrigerated storage or limited compatibility with biomolecules. The technology has already been licensed to Novartis. The other finalists were Bitop for Ectoin – a new natural ingredient with proven efficacy; and EmulTech for its microfluidic platform for controlled development. Of the three innovative Packaging finalists, E-Pharma Trento was the winner with its cleverly designed blisterpack for use with fragile orodispersible tablets. The pack incorporates a special thermoformed PVC layer, sandwiched between conventional cold formed blisters and lidding foil, which holds the tablets. This layer not only holds and protects the product, it also allows the tablets to be pushed through the lidding foil without breaking them. 'E-Pharma Trento’s packaging technology offers an alternative that addresses the disadvantages of existing fragile tablet packaging,' said Silvia Boschetti R&D manager at the company. The other packaging finalists were Doctor Pack India for Magic Cap, a cleverly engineered closure for sterile ophthalmic drops; and Neutroplast for its user-friendly vaginal applicator. Chris Kilbee, Group Director Pharma at UBM Live, extended his congratulations to all the finalists and the evening’s winners. 'Our Pharma Awards are an exceptional platform, providing the opportunity to highlight innovations within the industry that are set to drive the pharmaceutical marketplace,' he said. 'As an example, one of our winning technologies has already received significant interest by big pharma, so it is with delight that we are able to showcase such leading innovations.